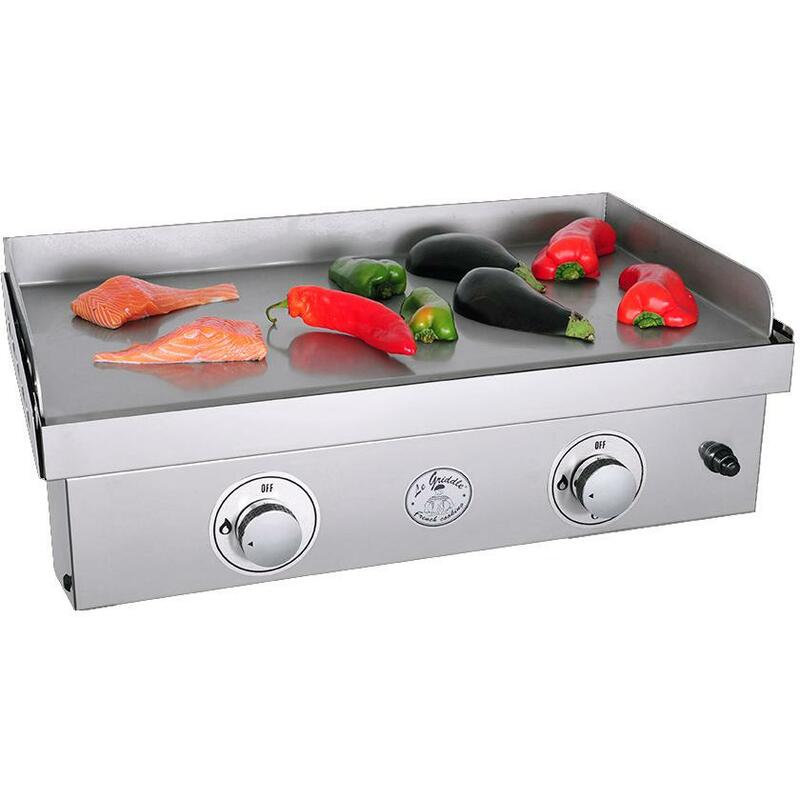 Product Description: Cal Flame 24-Inch Built-In Stainless Steel Propane Gas Hibachi Griddle / Gas Grill W/ Removable Stainless Steel Cover - BBQ14900P. Enjoy eggs, pancakes and stir-fry in no time with the Cal Flame Built In Hibachi Grill! 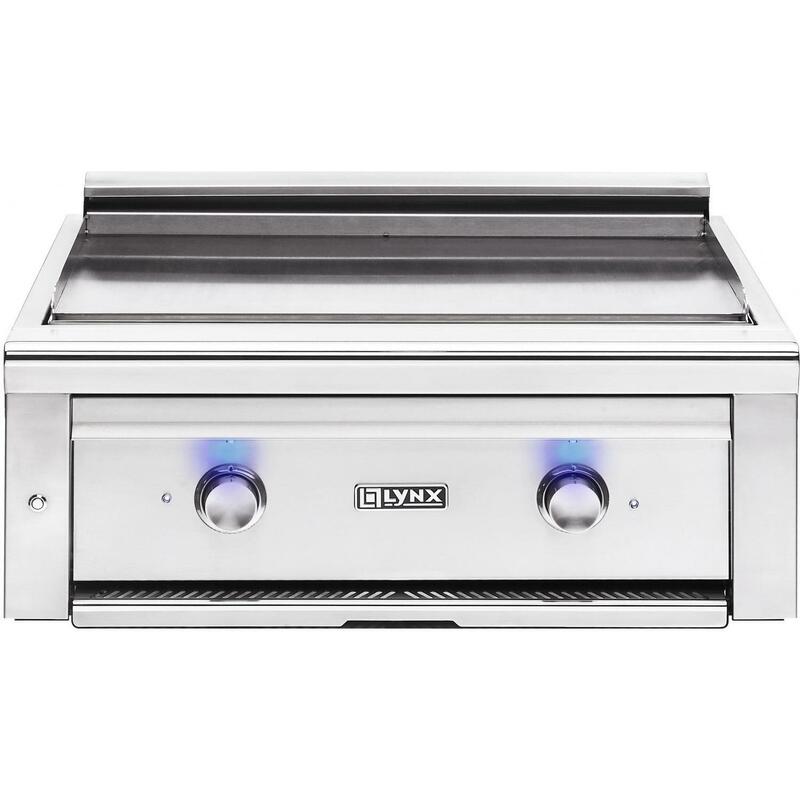 This drop-in propane gas griddle grill features seamless, all stainless steel construction designed with durability in mind. 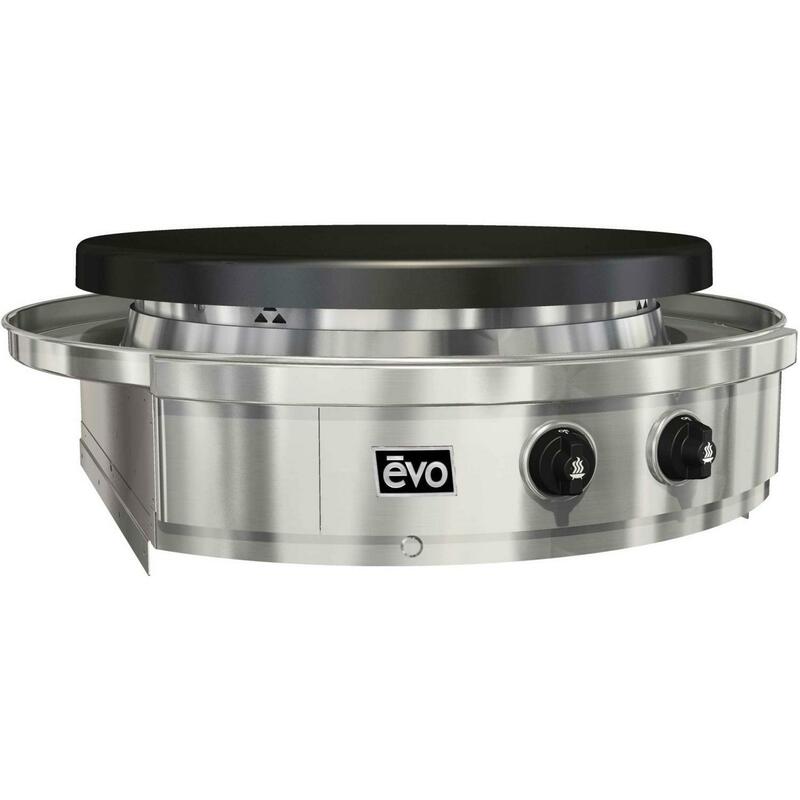 Two individually controlled concealed burners push a rated 15,000 BTUs of heat to the highly polished steel griddle plate. 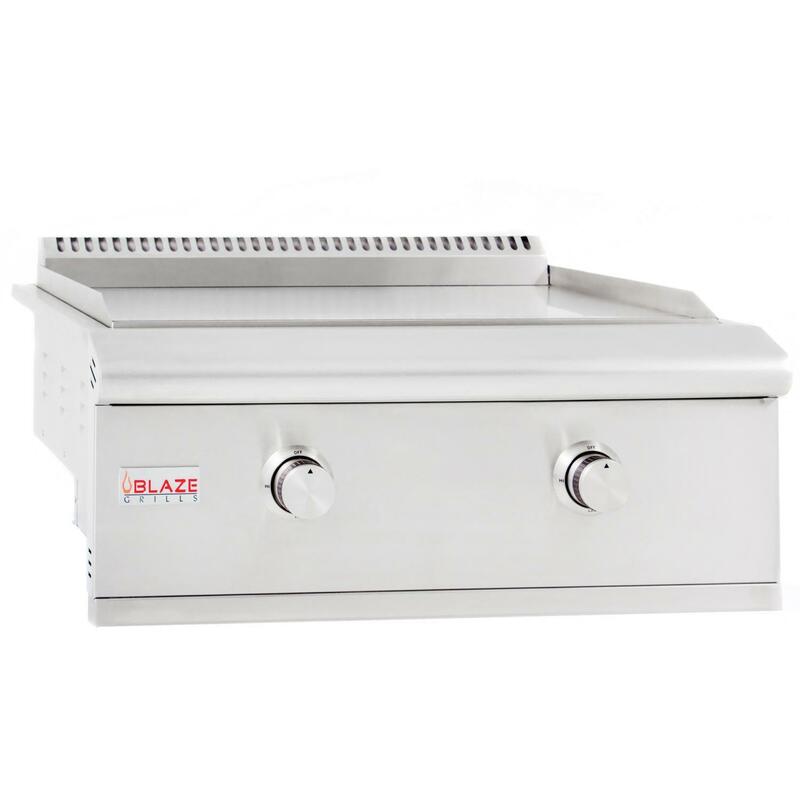 There is a large capacity grease trough for catching oil and a removable stainless cover that features the Cal Flame signature one-piece handle. With the Cal Flame Hibachi Grill, you can now prepare breakfast, lunch or dinner for your whole family in your outdoor kitchen!